Axis Technolabs has been at the forefront of this iOS popularity revolution and has developed breathtaking apps for this platform. 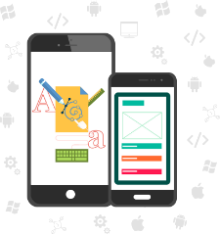 Our team of iOS developers posses the skills and art of rendering flawlessly beautiful and functionally excellent apps for iOS devices. Moreover, our team is infatuated with Apple and this keeps them always updated with current happenings in iOS development. This facilitates them is delivering business-centric and richly featured apps. You can hire iPhone programmers from Axis Technolabs and relax while watching your concept being developed as an app. What is it that makes us a good choice? Affordable rates: When you hire our iOS/iPhone developers, we ensure that you are not burdened with a huge pricing. We ensure that our rates are competitive. Proven and systematic methodologies: Right from our inception, we have believed in systematic work. Hence, our methodologies of approaching projects are perfectly in place; thus allowing us to excel. Expertise: Extensively trained and seasoned programmers is our forte. Timely delivery: When you approach us with projects, we ensure that they are delivered within the prescribed timely. Holidays: Saturday, Sunday and Indian National/Regional Holidays. Call on our expert team for php development, Iphone and Mobile development. Fill out the form on the right, give us a call at +91-9825950990 or contact us today to receive your free consultation. iPhone development company provides you best solutions for your business needs.